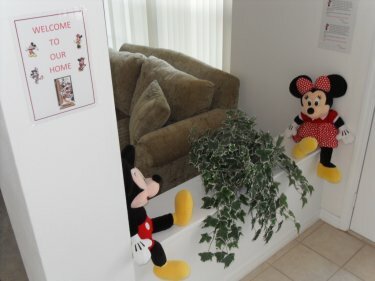 Robson's Retreat Villa has 5 bedrooms and 3.5 bathrooms - and can sleep up to 12 guests�it�s sure to be the perfect base for your family's next Disney vacation. 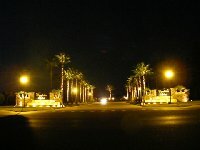 Cumbrian Lakes is a gated community on Poinciana Boulevard, with homes nestled around sparkling lakes, just a couple of minutes drive from all the of highway 192. Cumbrian Lakes has nature walks, bicycle pathways, and fishing available to enjoy during your stay. Robson's Retreat has a grand entranceway leading to a tiled hallway that opens to the secondary living room and dining room, and then through to the spacious, bright family room and kitchen. The family room has sumptuous sofa and love seat, coffee and occasional tables, plus an entertainment center with a large screen cable TV and stereo system for your entertainment. The family room leads out to the shaded lanai, with pool furnishings to sit and relax in around the sparkling clear pool and bubbling spa pool that overlooks conservation to the rear. The pool area is provided with a removable safety fence for extra added protection for young infants should you need it, and all doors leading on to the deck area have been provided with additional safety locks and switchable alarms. There�s also a pool bathroom provide for your added comfort. 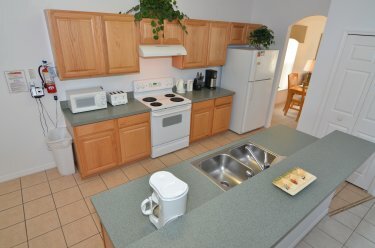 If you're getting hungry, then take the time to prepare a family feast or a quick and tasty snack in our fully equipped kitchen. Choose to eat at the breakfast island/bar, the formal dining room or the bijou breakfast nook that overlooks the pool and conservation area to the rear. Sleeping accommodation at SunCasa includes a spacious upstairs master bedroom with it's own balcony that overlooks the conservation, a king-size bed, nightstands with lamps and clock/radio/alarm, telephone, dresser with cable TV, and an master en-suite bathroom with roman tub bath, his 'n' hers closets, walk-in shower, his 'n' hers vanity basins, and private toilet. There is a junior master bedroom downstairs, which enjoys a queen-size bed with nightstand with lamp, clock/radio/alarm, dresser with cable TV and closet space. A second junior master is located upstairs and has the same appointments. Both junior masters share an adjacent family bathroom with a twin bedroom (one on the first and one on the second floor) and each of these bedrooms enjoy 2 twin beds with nightstand, lamp, clock/radio/alarm, dresser with cable TV, and closet space. 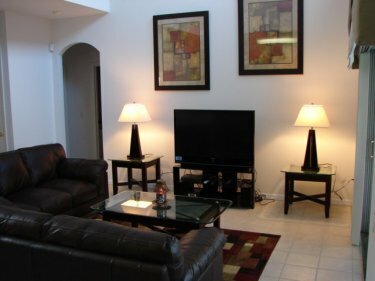 Whatever you plan for your next Disney vacation - make sure Sun Casa is included!